Our Generation Lily Anna doesn't horse around with fashion. 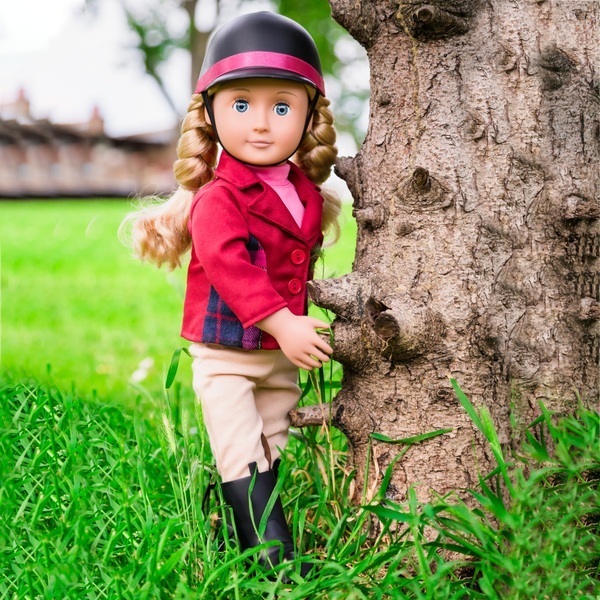 She comes with 2 cute outfits: a pink party dress and stylish riding clothes complete with riding boots and a helmet. Plus, this 18" collectable doll can be posed. Her eyes open and close, her fixed limbs make it easy for your child to place her on display. Kids can pretend to hang out at the stable enjoying refreshments with the set's lemonade pitcher,glasses, lemon slices and more. 22 pieces included.